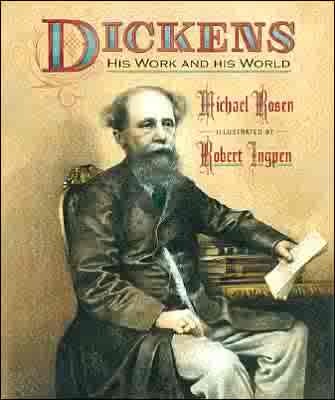 Charles Dickens had a humble upbringing, and at times, life was very hard for him and his family and money was scarce. When he was still very young Charles had to give up going to school and just a few years later, when he was only twelve, he was sent to work in a boot polish factory. Then, to make matters worse Charles’ father was sent to debtors prison and the family was broken up. It was at this time, when life was particularly lonely and harsh when Charles began to tell stories to his friends and co-workers. He had always loved tales, books, and school and now he took the stories he knew and began to share them with others. The way Dickens wrote Pickwick and the stories that followed was revolutionary. At the end of each section or chapter the reader was left hanging, eager to discover in a week or a month what was going to happen next. Would Oliver Twist ever find a loving home? Was Little Nell in “The Old Curiosity Shop” really dead? Would Pip in “Great Expectations” ever find true happiness? In short Charles created stories that were exciting, often funny, frequently sad, and that were suited to everyone who could read –well written stories were now no longer only for the rich and leisured classes. Michael Rosen has created a formidable book which not only describes Dickens’ life but which also explains why his works had such a huge impact on the world of literature; why he chose to write in the way he did; and how he was affected by enormous changes that were taking place in the world around him. Rosen shows the reader that Charles used his stories to give everyone a picture of what it was like to be poor and ill-treated. What it was like to be a servant or a homeless orphan. Through his stories Charles do doubt hoped to make a difference. It was his way of contributing to society and to perhaps bring about change – hopefully for the better. Rosen’s easy and intimate style of writing draws his reader in and gives anyone who reads this book a real sense that they now know what Charles Dickens was like, what his world looked like, and how important his books were and still are. Robert Ingpen’s remarkable artwork is found throughout the book. In intricate detail and soft colors Ingpen’s pictures bring the people in Charles’ world and the characters he created to life.